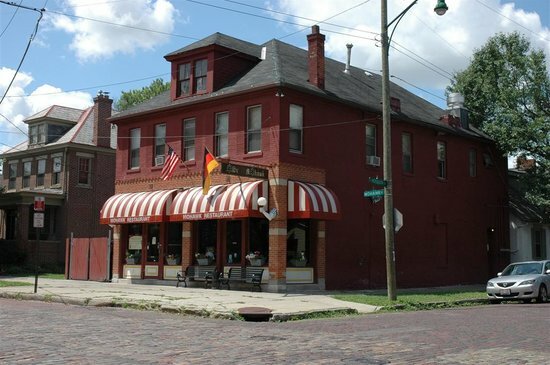 This restaurant is on a charming brick street in the German Village area of Columbus with a very residential neighborhood feel. The building feels like it was built in the early 1900s and has exposed brick walls inside and a tin ceiling. There is an old bar in the middle of the room, and the restaurant has a great atmosphere. We had very quick service when we arrived, with a Reuben delivered in 6 minutes. The rye bread was thin, but quite tasty. I liked the dressing on the side so I could apply as much as I wanted. 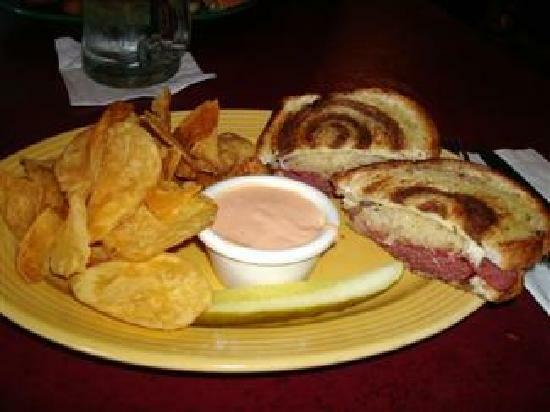 The corned beef was a nice tasty mass in the middle of the sandwich. The sauerkraut was okay. I upgraded to the kettle chips, which was a good choice. While there was nothing remarkable about the sandwich's taste in general, it is a solid offering and I recommend stopping to sample one at the Old Mohawk when you are in Columbus.